Happy Holidays, everyone! Wynter and Karen are joined by special guest panelists Tre’Vell Anderson (Director of Culture and Entertainment at Out Magazine) and 'Who Shot Ya? 's' Alonso Duralde to create the ultimate holiday playlist. Each panelist created a top ten list of their favorite holiday songs, out of which they’d select twenty for inclusion in the official Pop Rocket Holiday Playlist. Well, that was the plan, anyway. In practice, when faced with making the tough choices, they flopped. Whose version of "Sleigh Ride" should be on the playlist: Andy Williams’s, Ella Fitzgerald’s or TLC’s? Spoiler alert: They couldn’t decide. Plus, the panelists describe their holiday family traditions, and if you’ve ever been curious what the most popular Philippine Christmas song is, resident scholar Karen Tongson reveals the answer. From Ella Fitzgerald to Donny Hathaway, from the Morehouse Glee Club to Quad City DJs, the variety of musical stylings in this episode will get your feet tappin'. For the last All Abouts of the year, each panelist picked one thing in 2018, that they could watch, listen to, read, or consume, OVER & OVER again. Karen is still all about the series finale of The Americans. Tre’Vell is awed by EVERYTHING about Cardi B, but especially her recent appearance with James Corden in Carpool Karaoke. Wynter can’t stop watching Mission Impossible: Fallout. For this week’s jams, each panelist picked a song that best summed up the year that was 2018. Susan Orlean is a staff writer at The New Yorker. Her work has also appeared in Vogue, Esquire and on This American Life. She's the author of eight books, covering topics like New England and Rin Tin Tin. Her first book, "Saturday Night," used narrative journalism to paint a portrait of how Saturday night in America is lived. She's probably best known for "The Orchid Thief." That book ended up being the basis of the Academy Award nominated film "Adaptation," starring Nicolas Cage and Meryl Streep. She now lives here in Los Angeles. Being an author and a reader, she's visited the beautiful, historic central library in downtown Los Angeles dozens of times. Her latest book "The Library Book" is about that library and its history. It wasn't until she took a tour of the library that she was inspired to write this book. The tour guide opened a book and said some of them still smelled like smoke. A bit perplexed she probed and asked more about the smell. This is how she learned of devastating fire that almost demolished the building in 1986. She always hoped someone would tell this story, and unknowingly years later she would be the one to tell it. The book is also also kind of a paean to libraries everywhere – what they mean to her, and why every library is a vital institution. 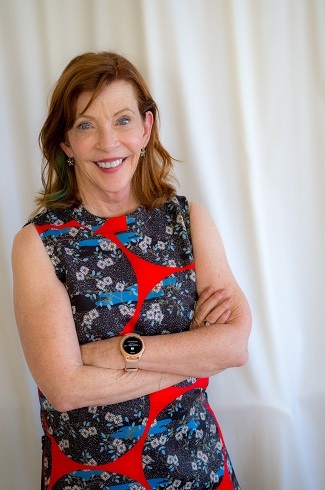 We're big fans of Susan Orlean at Maximum Fun. A few years ago she gave a talk at Max Fun Con called: "Finding the extraordinary in the ordinary." You can check out that talk here. 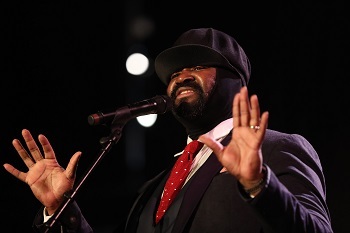 Gregory Porter is a Grammy Award winning jazz vocalist. The route he took to get there is really unique. He was a offensive lineman at San Diego State. Then, during his junior year, an injury ended his football career. During that time he could sing, but he wasn't a singer. That changed when his mom, literally from her deathbed, told him to start singing. In 2010, he moved to New York with his brother and recorded his debut record "Water." Whereas most young jazz singers start their careers recording standards, Porter recorded an album of mostly originals. Now, almost a decade later, he's laid down an new album with jazz standards. "Nat King Cole and Me" pays tribute to one of the greatest jazz singers of all time. It's music he grew up on. Porter spent a lot of time researching the music of Nat King Cole - his records, books, and documentaries. He'll tell us what made Cole one of the most unique singers of the civil rights era of the 1950's. He'll also tell us what it was like to grow up in Bakersfield, California and how that's influenced his lyrics. The covers are great, but if you want to hear some more of his original work, check out his 2016 album: "Take Me to the Alley" – the album was inspired by his mother's teachings as a street minister and it's one of our favorites. Jesse explains why great things can come of simple premises and simple situations. Like in this sketch from "The Whitest Kids You Know."